Has Meryl Streep Been Redeemed by This Correction On Her 'We're All Africans' Quote? 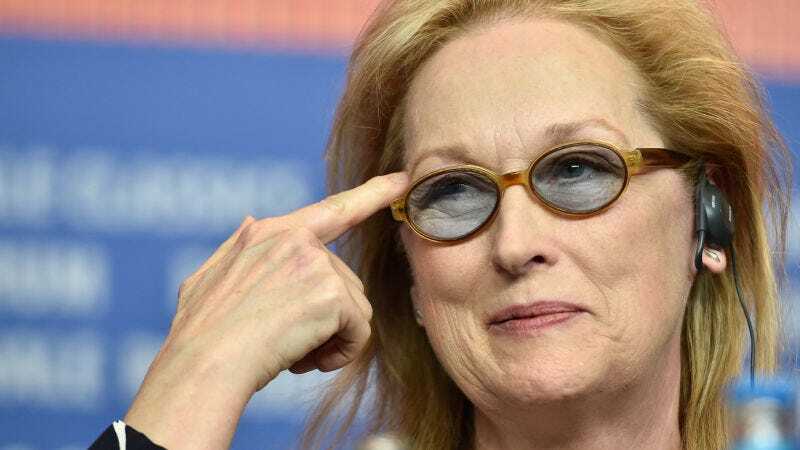 A story about Meryl Streep’s response to questions at the Berlin International Film Festival went very viral, because it seemed like she was saying the Oscars don’t have a diversity problem, since white people are essentially African. Turns out, that’s not exactly what happened. CORRECTION: Meryl Streep’s “We’re all Africans, really” comment was a direct response to a question about Arab and African films, not a response to questions about the Berlinale Film Festival’s all white jury, as the article and headline originally suggested. A recording of the panel shows that Streep’s original comments were misrepresented in subsequent reports. That contextualizes her comments somewhat, I guess? They were as baffling as they were outrageous, and now they’re just kinda classic out-of-touch-actor eye roll inducing. Upgrade!